Did you know that rabbits can jump up to three metres long and a metre high? They also enjoy exploring, foraging and digging. But all this activity requires much more space than a traditional wooden hutch has to offer. We’ve got the perfect solution for you to offer the best to your bunny. A rabbit fun house. It’s easy to convert a shed or playhouse into a happy and healthy living space where your pet will thrive. Here’s our guide to thinking outside the hutch. Rabbits aren’t happy in confined spaces. The tradition of keeping them in a hutch stems from Victorian times, when rabbit stew was a popular dish. Rabbits kept for meat wouldn’t have spent long in their hutch, and they weren’t meant to be a permanent home. There’s nothing better than watching happy rabbits express their natural behaviour, so give your rabbits a home with plenty of room and you’ll be well rewarded. 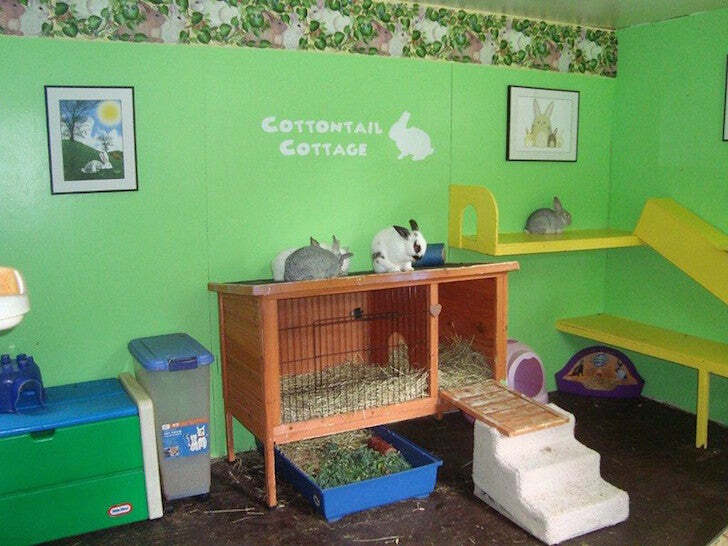 You can easily transform a child’s playhouse into your rabbit’s perfect pad. But before you begin building, you need to ensure that your playhouse has a level base. Paving slabs are a perfect foundation for a small shed, and they’re fairly easy to lay. Once your playhouse is up, paint the exterior with pet-safe wood preservative. Because playhouses are built with children’s safety in mind, the walls are usually smooth planed tongue and groove, so they shouldn’t need extra lining. If you’ve spent any time in a child’s playhouse you’ll know that their main disadvantage is lack of height. But this makes them perfect for little helpers and at least you can stay dry and warm while you clean out your bunny’s home. Because sheds aren’t built with kids or rabbits in mind, it takes a little more work to make them safe. In particular, watch out for overlap cladding which you will need to keep away from nibbling rabbit teeth. Protect the cladding by screwing MDF boards treated with pet-safe wood sealer onto the upright batons. 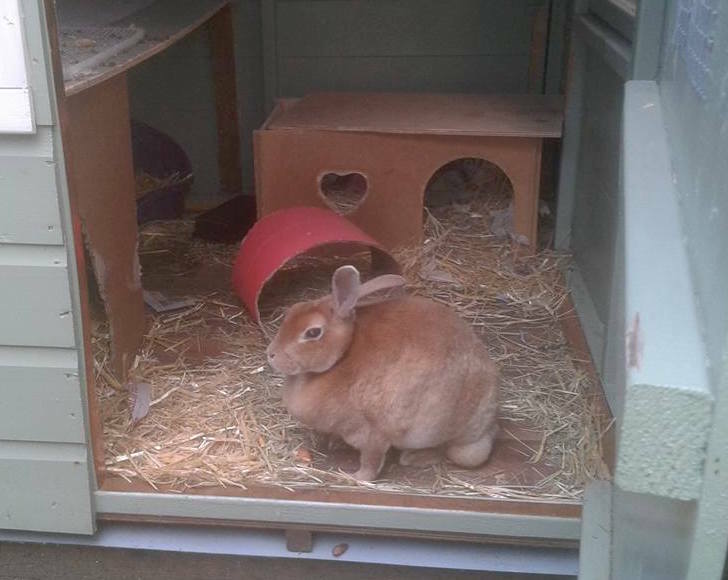 To keep your rabbit cosy, insulate the shed by filling the gap between the cladding and the boards with bubble wrap, newspaper or polystyrene. 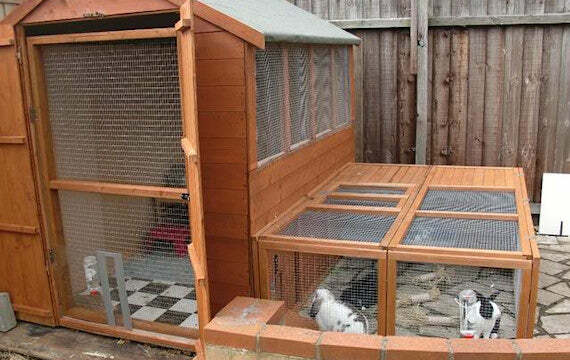 Whether you pick a playhouse or a shed, both will require some additions and adaptations to keep your rabbit safe and well. First, reinforce the floor with wooden bearers.This provides protection against wear and tear as bouncing bunnies make quite an impact! Next, cover the floor with lino to make cleaning easier. This needn’t be expensive, as cheap off cuts are often available at diy stores. If you’re storing your rabbit’s hay and food in their shed, be sure to use metal bins with lids on to deter the local rat population. Add an interior mesh door and you’ll be able to keep the main door open in the day to let air and light in. Drilling a few small ventilation holes at the top of the shed will help air to circulate and keep the rabbit house fresher. 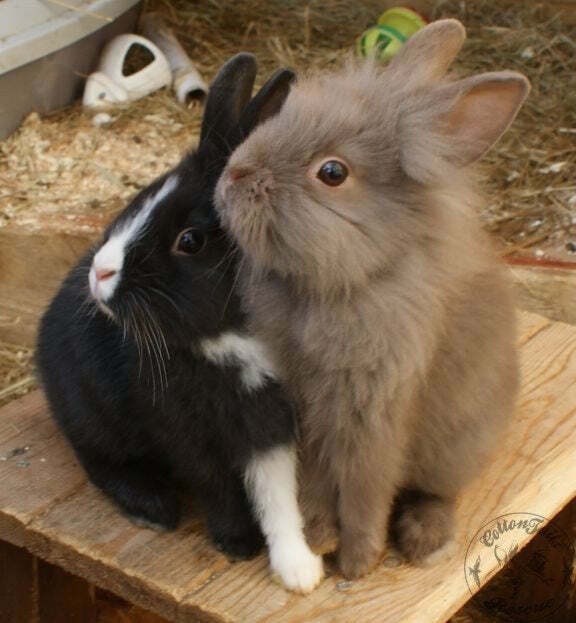 Richard goes on to advise that when introducing rabbits to one another, it’s best done in a neutral space. A room in the house that neither rabbit normally goes into, an enclosure in the garden, or even in the car. Take it slowly - some people prefer to start with each rabbit in their own cage, but able to see the other at a close distance. Got any old plant pots? As well as jumping and hiding, rabbits love throwing around plant pots and plastic tubs. They also enjoy munching on loo roll tubes or cereal boxes stuffed with hay and treats. Deep trays packed with soil are perfect for digging. 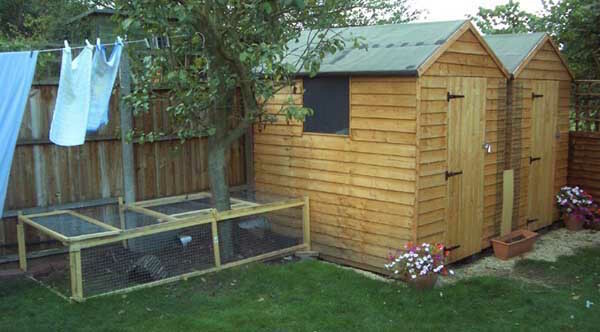 To be sure that your rabbits get enough exercise you need to provide a run, which can be securely attached to one side of your shed or playhouse. Consider fitting a cat flap so that your rabbits can access the run independently, or cut a hole in your shed wall and add a sliding door which you close at night. 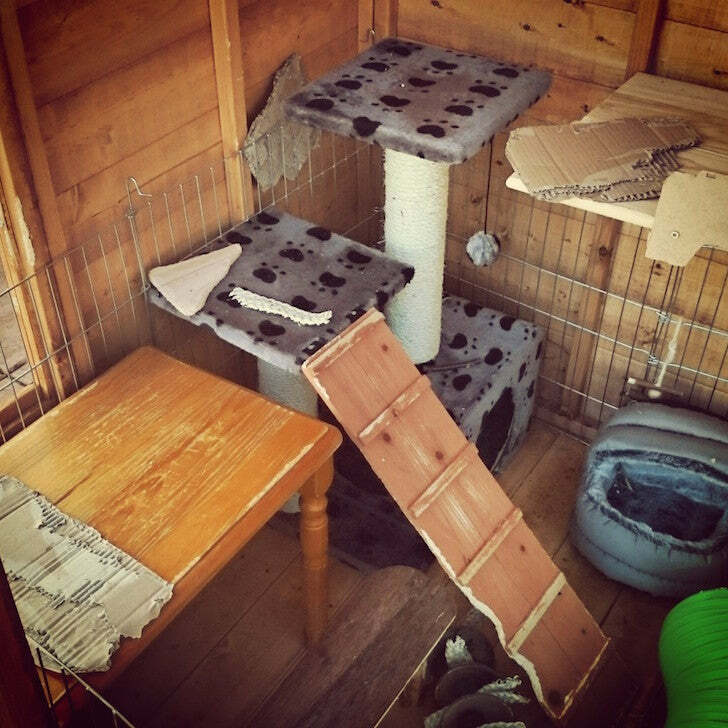 Are your rabbits already enjoying their own fun house? Then pop over to our Facebook page and share your creations!